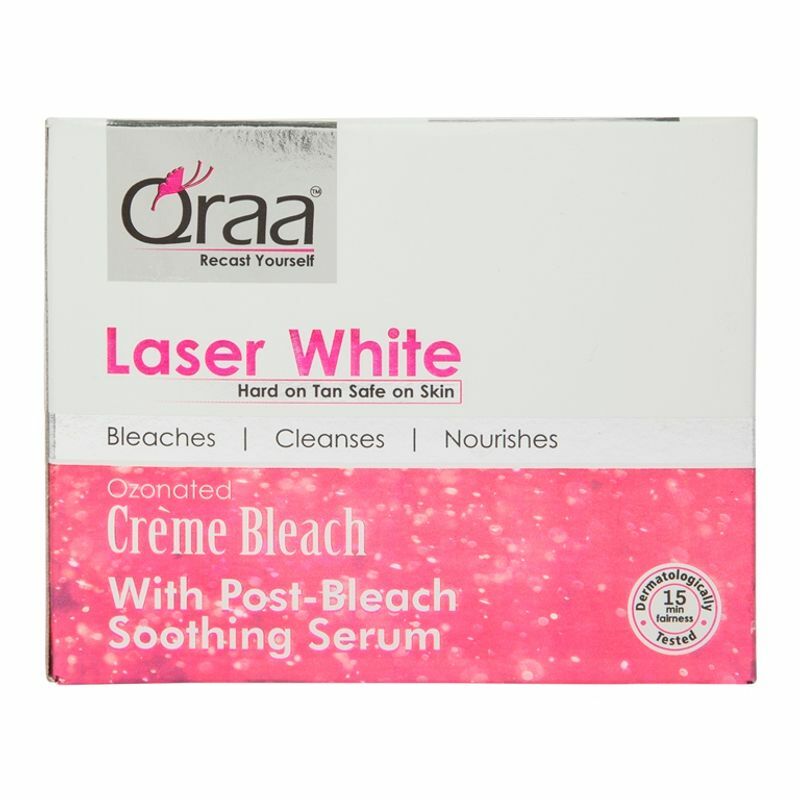 Get beautiful, radiant skin in a jiffy with Qraa Laser White Cream Bleach! Enriched with active ozone particles to solve 5 fairness problems like dark spots, uneven skin tone, dull skin, dead skin cells and sun tan this bleach promises to make you look radiant in just 15 minutes. When Qraa Ozonated Bleach is applied on the skin, ozone is released. This scientifically formulated bleach has micro structurants that help prevent the released ozone from escaping into the atmosphere. The ozone carries active ingredients into your skin, brightens, nourishes, energizes and protects, giving you naturally radiant skin instantly. 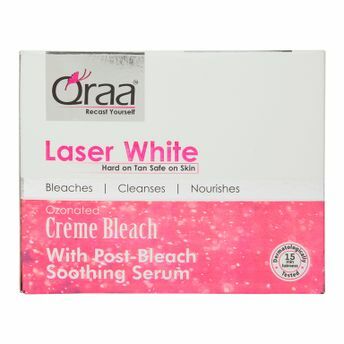 Qraa post bleach Vitamin C serum with it cares for your skin after bleaching. This incredible skin nourishing serum is a special blend of precious and rare ingredients to help illuminate the skin and nourish it.